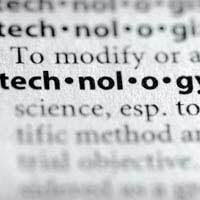 Information Technology terms are words or expressions related to topics coming under the “Information Technology” banner. Terms such as TCP/IP, Intranet, Spamming and “Lagging” are all terms which have been created by scientists, or by everyday computer users who used a common term and it has become a standard expression. Let’s have a look at some of these expressions. In computer terms a firewall is a piece of software designed to filter out unwanted traffic, such as anything sent by a hacker, but allowing in legitimate traffic, such as the Google web page. Most of us have heard of e-mail, all this is the Google version of it called Gmail. It has lots of storage space and anyone can register for an account. It has now become a byword in the Internet surfers dictionary. This is the art of finding things on the Google search engine. Basically, when you are “googling” something you are trying to find information on a topic, such as typing “cats” in the Google search box because you wanted to find out about cats. This is when your computer is dragging its feet or is running slowly. This can be waiting for an Internet page to show, or is running slow generally, probably due to it being overloaded with programs running in memory. This is an acronym for “Self Promotional Advertising Message”. It means receiving unsolicited emails into your inbox or advertisements you don’t want or need on your PC. The word "snippet" is commonly used by programmers to indicate a section of code or an extract from some writing as it would in the real world. If you put the two words together, "social" and "networking" it provides a clue as to what the term means. Social networking is in fact a way for people to communicate over the Internet using audio, video, text and images. It is for groups of people usually, but not always with similar interests. A "bit" it is the lowest level of understanding a computer has. A bit consist of an individual one or zero representing "on" or "off" in the computer. Combinations of its such as eight bits represent a byte in the machine. A "byte" is what the computer needs to understand anything. All information in a computer is held in what is known as "bytes" the information which basically consists of combinations of ones and zeros in the computer. These ones and zeros represent different characters, numbers and other information crucial to the operation of a computer. The ones and zeros are at an even lower level and they are known as "bits". A gigabyte is a piece of information represented by a million bytes. Please see "bytes" for more information about bytes. A kilobyte is represented by a thousand and 24 bytes. Please see "Byte" and "Gigabyte" for related information. Most people recognize what a compact disc is but there are different types. CD-R for instance, refers to a compact disk that the is recordable on i.e. once recorded it cannot be overwritten. The CD-RW refers to a compact disk which can both be read and written to. Finally, a CD ROM refers to a compact disk itself. It means compact disc Read Only Memory. When a computer starts up it is said to have "booted" up. The act of a computer starting up is therefore known as "booting". A computer cannot work without CPU, and it is the most important part of a computer. It is basically the brain behind all the calculations which take place on the machine. It can handle millions of instructions per second and utilizes the hard disk and memory of the machine upon which it is based. Like a CPU a computer cannot operate without memory. Memory is a temporary storage space used in a computer so that the CPU can perform its operations on the information held there. Once processing is complete the information is usually written to the "hard disk". As with the CPU and memory, a computer cannot operate without the hard disk. The hard disk contains all the programs and data such as the Windows operating system and documents and worked hand-in-hand with the CPU and memory during operation.